Gathered here are a group of producers standing in worldwide solidarity, and through this compilation wish to express an intent – that of taking action through voicing and sharing, and that of challenging a silencing oppression and the oppression of silence, which in its pervasive presence has aided the coming to be of the current political status quo. This compilation is a call-to-action, and an invitation to be aware of the organizations and communities which have been active in a struggle for equality and aid for years. You are invited to make a difference in your local community against all forms of discrimination and its backlashes. 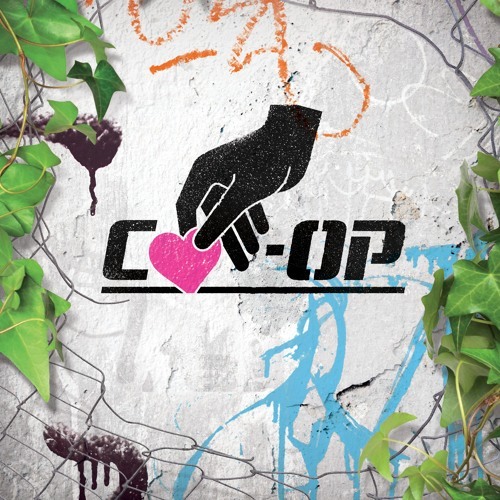 “Co-Op” is given on a trust-basis, this is not a free compilation. In exchange for a download, we encourage you to donate your time or money to a local social organization listed or of your choice on the frontlines of protecting marginalized groups worldwide. There exists a possibility to impact and aid local change. Provided is a list of advocacy organizations suggested by our contributors: Australia: www.riserefugee.org/ China: www.bghei.org/ www.iccgl.org/ www.queercomrades.com/ Germany:	www.cutiebpocfest.com/ www.discoverfootball.de www.eoto-archiv.de/ www.givesomethingbacktoberlin.com/ www.gladt.de/ www.grenzallee.com www.lesmigras.de/ www.oplatz.net/ www.pax.spinnenwerk.de/~outreach0815/ www.passthecrayon.com/ www.queer-refugees.de/ International: www.rsf.org/ Turkey: www.en.ihd.org.tr/ www.tihv.org.tr/ US: www.adoptaninmate.org/ www.secure.afsc.org/onlineactions/bn8…Qr_0eQvsHuqjq9WA2 www.assatasdaughters.org/ www.blacklivesmatter.com www.blackyouthproject.com www.law.northwestern.edu/legalclinic/…convictions/ www.criticalresistance.org/ www.familiesforfreedom.org/ www.youcaring.com/firevictimsofoak…dec232016-706684 www.gems-girls.org www.innocenceproject.org/ www.justdetention.org/ www.girlsclub.org/ www.ndrn.org/ www.prisonerswithchildren.org/ www.standwithstandingrock.net/ Please take your time reading our intention and check out the organizations listed before downloading. Thank you!